Most people choose carpeting because it is a cozy and luxurious option compared to other types of flooring. Using carpet is an economical way to add comfort to your home while offering low maintenance and a long lifespan. It can be extremely versatile and fit with many different types of décor. If you are looking to bring warmth, insulation and a cozy feel to your home, you should look into introducing carpet to the space. This article explores what you should be looking for when choosing carpet. This is by far the most important factor when considering a specific type of carpet. The look and feel should not deter you from picking a durable product that will last you for years. You should assess the thickness, density and type of fiber to ensure you are buying a quality product. Carpet density refers to the degree of closeness of the carpet fibers. Denser carpets typically last for a longer time and provide a better experience. This is because dense carpet strands stand straight for longer periods of time without crushing. Additionally, super soft carpets will not stand as straight so it is important to find a carpet that has a blend of both. 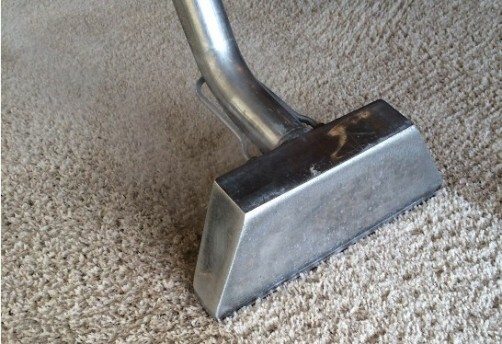 The fibers of the carpet will also determine the durability of the carpet. There are various fibers like wool, nylon, polyester or triexta. If there is a lot of foot traffic in your home then a nylon or polyester would be the best type for you. Dyed polyester has limited choices in terms of color but it is an overall good product. This should not be ignored when you are selecting a carpet for your home. For a carpet to be considered stain resistant it needs to have fibers that will not absorb liquids. This best explains the solution dyed polyester fiber carpet. Most of the stain resistant carpet comes equipped with a stain treatment to protect it from absorption. It is also worth noting the different type of stain treatments available. The most preferred type is a whole fiber stain treatment because it bathes the entire fiber and backing to make it the most effective. The alternative would be a topical stain treatment to superficially treat the carpet. The amount of oil used during the manufacturing will influence the level of stain resistance. Less oil means less staining. This impacts both the lifespan and the experience you have with the carpet. It is important to establish a budget and follow it when you are deciding which carpet will be right for you. The cost will determine the quality, the type of fiber used and now stain resistant it is. Different styles have different price points so it is important to be sure you know what you are looking for. Do not let sales associates influence your decision, they are there to simply sell a particular product. Homeowners have a wide selection of different looks and styles when it comes to carpeting. If the selection overwhelms you, there are a lot of resources available to make the decision easier. Some carpets help to enlarge a space and make it look bigger, whereas some add elegance and comfort. The furnishings dictate the type and color of carpet as well. It all depends on the type of feel you want to create with your carpeting and your personal style. Carpeting usually has an aesthetic value, but it does offer some forms of functionality. Pick a carpet that fits will your lifestyle and meets the needs of your family. These are just a few of the things to consider when you are selecting carpet for your home. The durability, cost, style and quality should all influence and help you make the best decision.